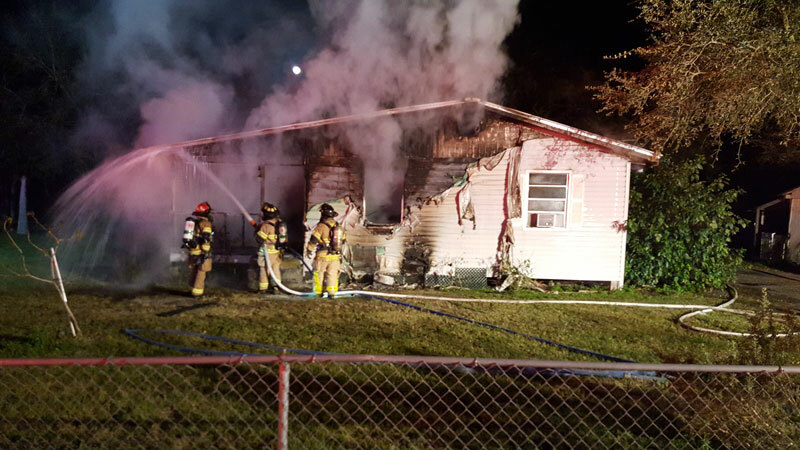 At 1925 hours on January 24, 2016, Okeechobee County Fire Rescue responded to a reported structure fire at 1090 SW 13th Ave. Upon arrival, firefighters found the northwest corner of the residence heavily involved in fire. As a result of the fire, the north half of the residence was destroyed. The family living in the house discovered the fire on the bed in one of the bedrooms after smelling smoke. There were no working smoke alarms in the home. At total of 11 firefighters responded to the incident. Responding units included two fire engines, two water tankers, a rescue unit, and a Deputy Fire Chief from Okeechobee County Fire Rescue. 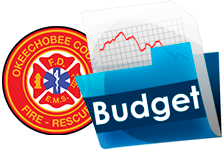 The City of Okeechobee Fire Department provided assistance with one fire engine. The family living in the home was displaced due to the fire and the American Red Cross responded to the scene to provide assistance to the family. The cause of the fire is unknown at this time of this release and is under investigation by the Florida State State Fire Marshal’s Office. Fire crews remained on scene for nearly three hours after extinguishment hitting hot spots and assisting the State Fire Marshal. For more information, contact Okeechobee County Fire Rescue at 763-5544 from 8am – 5pm, Monday – Friday.